Hasselblad launches New Monthly Bulletin in 5 languages featuring photographers from around the globe including the work of Joao Carlos . The new Interactive features in each issue of the Hasselblad Bulletin will provide the latest news, photographer profiles, and a generous supply of spectacular Hasselblad images. 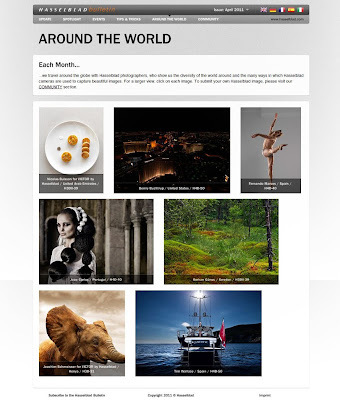 Regular features include an event calendar for Hasselblad international events and workshops; a community section, where you can influence the Bulletin’s content and stay in touch with other Hasselblad photographers.